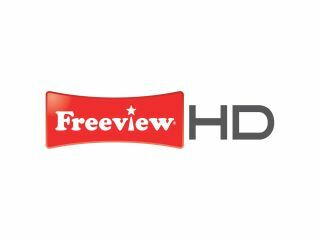 Freeview HD - disappointing sales? Freeview's managing director Ilse Howling has questioned the need for lots of HD channels, insisting that the planned five HD channels already contained the programmes most people watched. At the Westminster eForum to discuss the future of digital terrestrial television, the problem of Freeview's limited bandwidth as data-hungry HD channels proliferated was an issue that arose several times. Howling appeared to be suggesting that the arrival of a 50th HD channel from Sky by Christmas was not what the consumer actually wanted, saying that consumers want "great content" that they can "find immediately". "I was on a conference...recently where Mike Darcey of Sky was talking about HD and saying it was absolutely fundamental to Sky's performance," Howling said. "He made a joke about Freeview only having a handful of HD channels and that was actually if you had two fingers missing from your hand. "Which is all very funny but it is interesting to look at the comparisons to when Freeview launched [and] everybody said [it] didn't have enough channels to compete against Sky." "Now Sky this Christmas will have 50 HD channels out of a total of 500, what you can see in the stats is that Freeview's success [was] not withstanding the fact that it had many fewer channels than Sky. "What consumers want is great content. They want to be able to find something to watch quickly and immediately. "And in those five HD channels that Freeview will have on current spectrum planning are the most watched programmes in the UK." Interestingly, John Edwards – the chair of Intellect, the technology trade association – had earlier in the day suggested that sales of Freeview HD kit has "not been what the industry had hoped for."